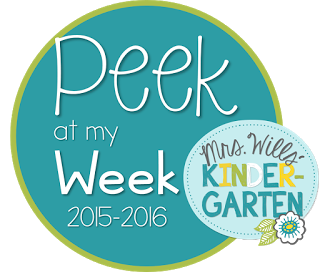 I am so excited to be linking back up again with Mrs. Wills' Kindergarten to share my plans for the week. 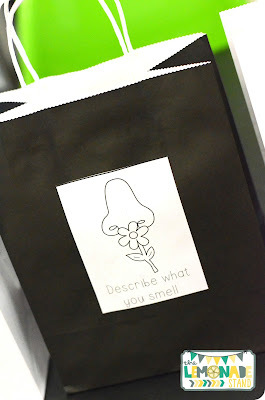 First, I want to share what we did last week. 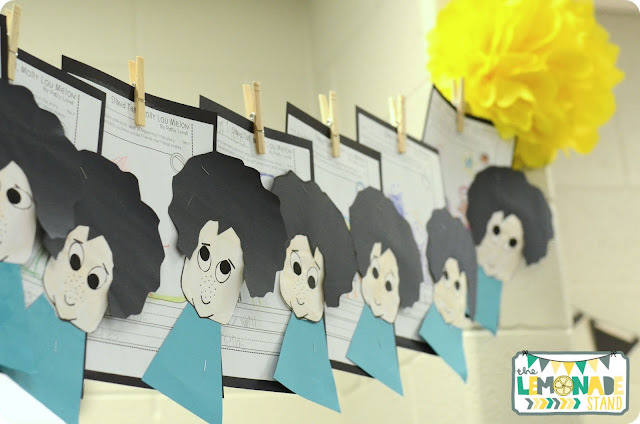 I am new to the kindergarten world, so I knew I need some help from some amazing teachers in the blogosphere. 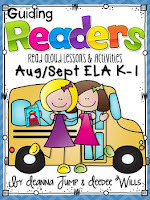 I decided to use Deanna Jump and Deedee Wills' Guiding Readers ELA Unit. 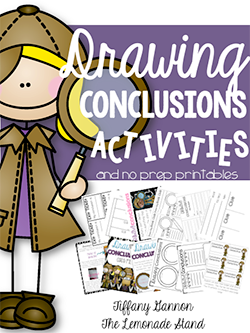 It has been amazing and such a time saver for me! 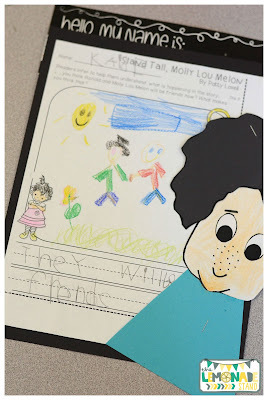 I want to incorporate a craftivity or art activity each week with the unit, and I couldn't really find one for Molly Lou Melon. So, I came up with this simple little Molly Lou Melon craftivity. 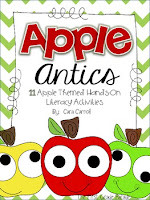 The writing is from the Guiding Readers ELA Unit below. 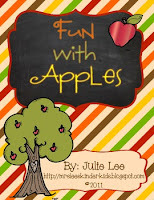 The next two weeks are going to be all about APPLES! This upcoming week is going to be really crazy. We have our school's fall carnival on Thursday and no school on Friday. 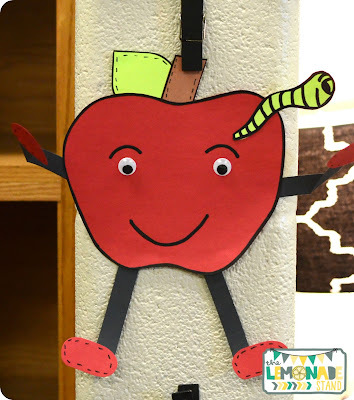 We had so many apple activities we wanted to incorporate that we are going to have to spread the apples out over the next two weeks. 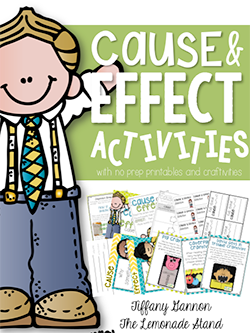 I only included the first half of our day's lesson plans, because after lunch, we have specials, recess, snack, and afternoon meeting only. 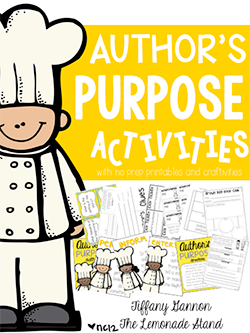 You can find all of the activities from the units below. Before I left on Friday, we got everything ready to go for next week, so I snapped a few pics. 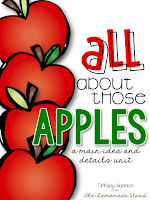 We are doing a fun little inferencing activity to introduce apples. 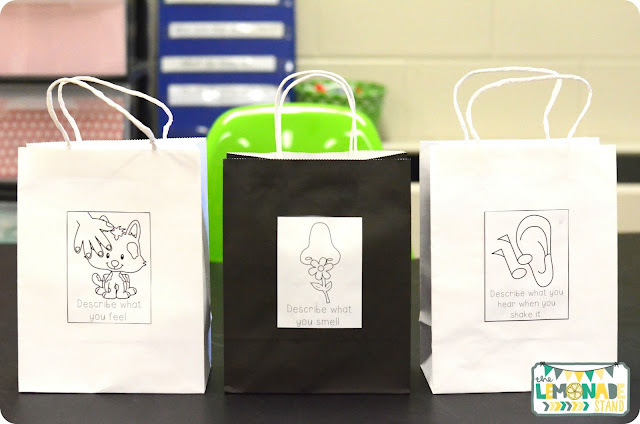 We are going to put apples in the bags and let students use their senses to try to conclude what is in the bags. 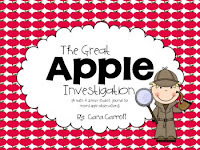 We really want them to practice using descriptive words this week with apples. 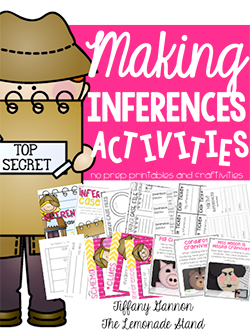 You can find this activity in my All About Those Apples pack. 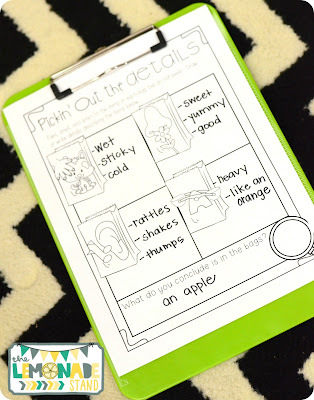 Students will use this recording sheet to record their findings. 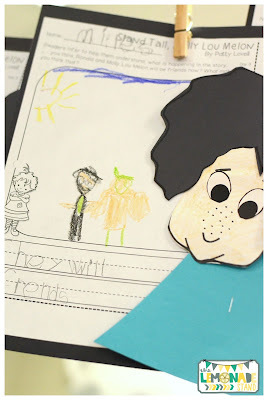 My kindergarteners would probably mostly use pictures to record their details. We are actually going to do this part whole group. 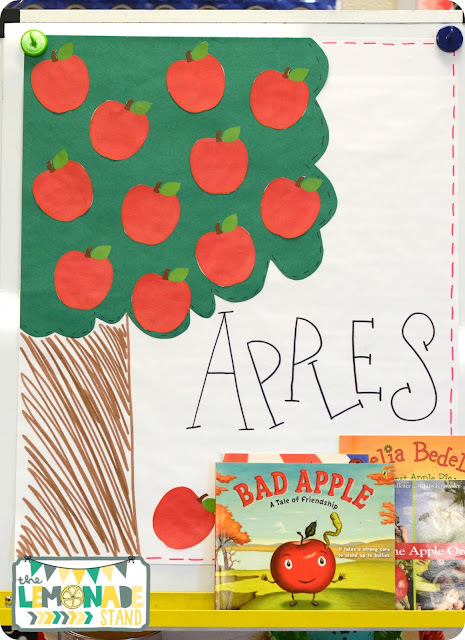 We will read an informative book about apples and record details on the apples on the anchor chart above. 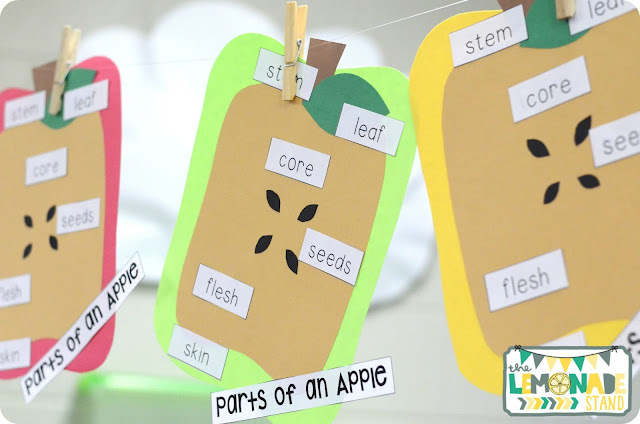 Then, we will work on labeling parts of an apple in the craftivity below. 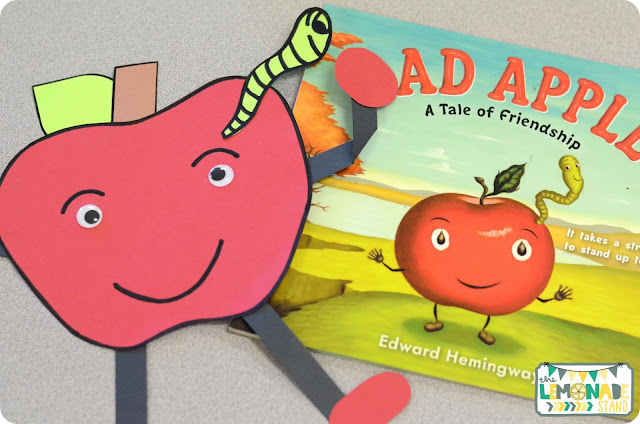 Do you have this book, Bad Apple by Edward Hemingway? It's super cute and I just knew we had to use it! We aren't going to have time for it this week, but I just wanted to share this craftivity incase you needed something to go along with it. It deals with bullies and friendship, which is something we really need to hear. 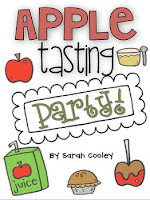 Apple Week is one of my favorites, and I am super excited to kick it off tomorrow. 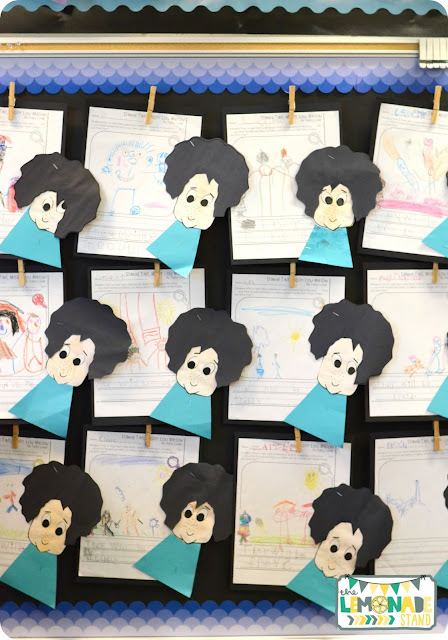 Head on over to Mrs. Wills' Kindergarten to see what everyone else is up to this week. Have a great week!